'niche construction'. Obviously, this process is most pronounced in Homo sapiens, which is currently the most conspicuous ecosystem engineer. 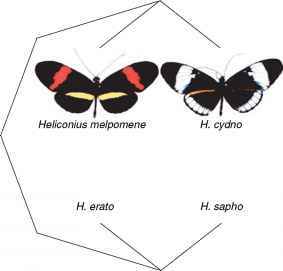 If a species can change its environment as well as adapt to it, a coevolution between a species and its niche can follow, based on the continuous feedback between a species' 'niche construction' and its adaptation. Since species continuously change the environment for themselves as well as for other species, species' niches could be very dynamic. Often, however, species' ecological requirements are quite stable over evolutionary time, so that it is even possible to reliably reconstruct an ancient environment on the basis of presence of particular species in the fossil record and the knowledge of their contemporary ecological niches. This can be attributed to the fact that it is often easier to search for appropriate habitat elsewhere if an environment within a locality is changing than to adapt to it. All species have some dispersal abilities, and are thus able to track spatio-temporally changing habitat availability by migration rather than adapt to different conditions by mutation-selection process. The other reason for the apparent niche conservatism is the existence of evolutionary constraints and consequent tradeoffs: species often cannot easily change their traits in a particular direction if these traits are associated with other traits whose change is not advantageous. As species undertake evolutionary changes, their functional niches can change, leading to changes in the overall 'ecological space' in an ecosystem, and promoting further changes in species traits. On the other hand, some functional niches, that is, particular ecological roles, could be rather stable even if species evolve, go extinct, and new species emerge - a similar functional role can be progressively fulfilled by different species. Community evolution can be therefore viewed as a coevolution of ecological niches rather than of species themselves. See also: Allee Effects; Biotopes; Community; Competition and Coexistence in Model Populations; Gause's Competitive Exclusion Principle; Habitat.